Often times when it's the spring or summer months, we find ourselves congregating outside in our backyard or patio more. The hot afternoons and warm evenings make chilling outside that much more feasible. 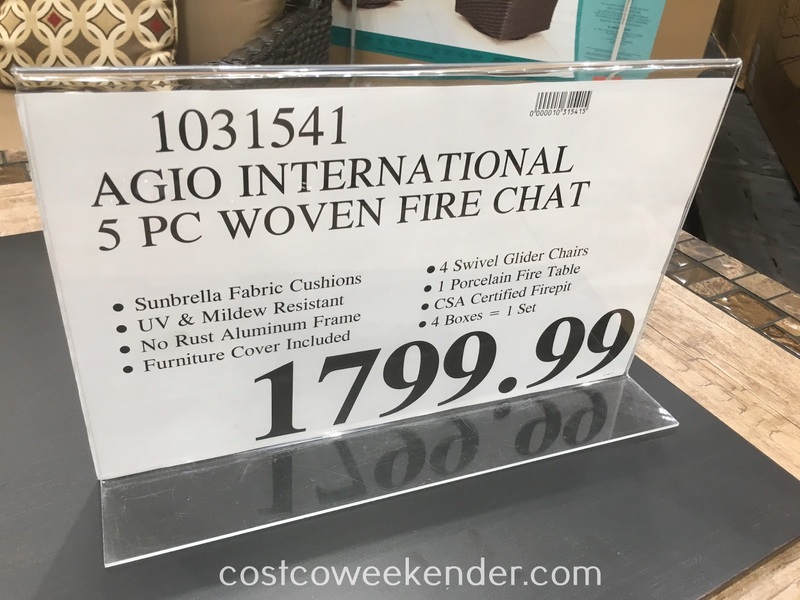 With the Agio International 5pc Woven Fire Chat Set, you can take advantage of the warm weather come this summer. 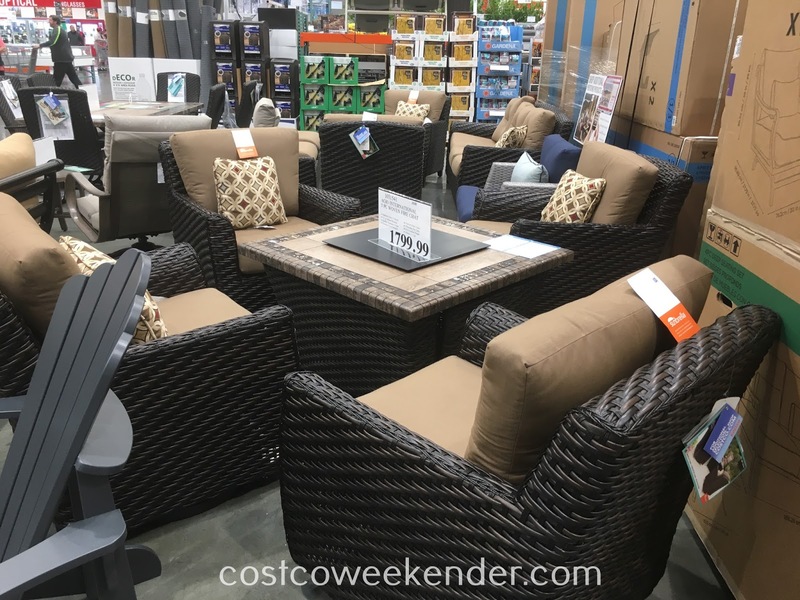 This set features four glider chairs, so that you can just lounge around with your family and friends. 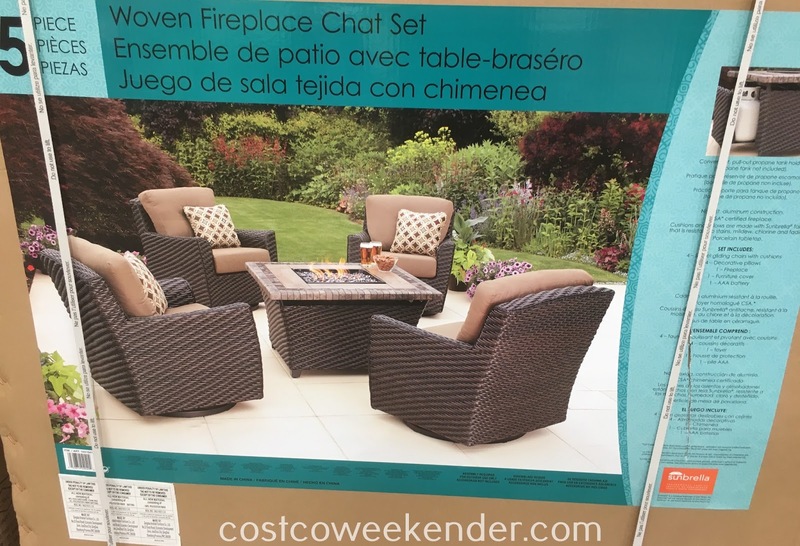 It even comes with a matching firepit in case it gets a bit chillier outside. The fire will make the ambiance that much more relaxing when you're chatting with your friends around a fire. 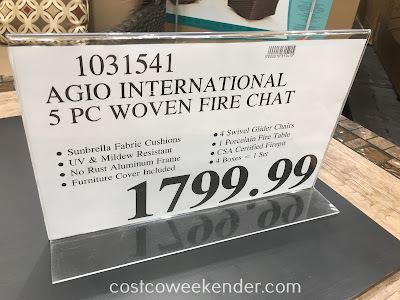 Having good patio furniture does come in handy for barbecues and other outdoor gatherings, so do yourself a favor and get the Agio International 5pc Woven Fireplace Chat Set for your home's backyard.